Rising numbers of marketers are gaining a seat at the executive table. And why shouldn’t they be? Faced with the pressing need to become more digitally savvy, customer-centric and agile, organisations in every industry sector need the key competencies CMOs can provide in these areas to improve business decision making and market competitiveness. Yet there are still plenty of hurdles in the way of marketing gaining whole-hearted support within the boardroom. One is the significant knowledge gap that exists around marketing’s role and purpose. This was highlighted in the joint Australian Marketing Institute and Deloitte paper, entitled Marketing’s Role in the Boardroom: An Evaluation Framework for Boards and Directors. 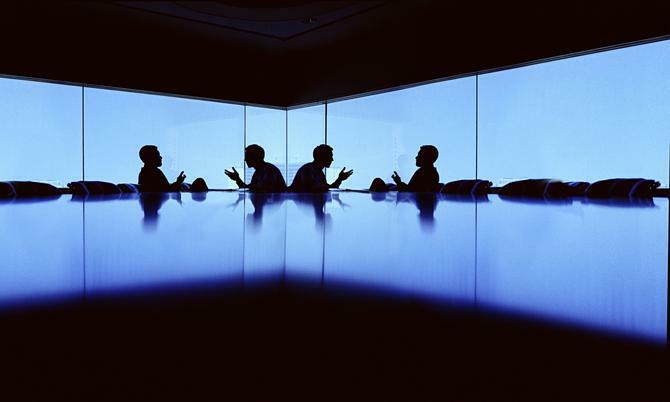 Rather than wait for directors to catch up, it’s vital CMOs take up the reins and devise a way to better communicate with their boardroom peers. Thankfully, with more customer insights, data and technology at their disposal than ever before, there are now plenty of ways to change dialogue with the board for the better. We asked three leading executive-level marketers to share how they’re positioning and selling marketing’s worth to their board. Amaysim co-founder and director, Christan Magel was one of the entrepreneurs behind the mobile business’ launch in Australia in 2010, and held the position of CMO up until its recent listing on the ASX. While marketing leader, he generally updated the board at every board meeting on major developments, marketing material and KPIs in marketing and sales. One of the big shifts has been a move away from subjective discussions on marketing campaigns, to data and fact-based evaluation about outcomes, Magel said. He noted the short cycles through which data is being provided, along with the depth of information now expected by executives across the business. As a result, boards rightfully expect feedback on activities very quickly in order to get a swift idea on whether or not projects and activities are, or can be expected to be successful, he said. “I feel board members get much more transparency and accuracy than previously,” Magel said. “These days, it’s about the bottom-line result and business impact, and not so much about taste. The accessibility of data and the ease with which you can share content today digitally helps tremendously in this process. ANZ Stadium CMO, Melinda Madigan, said marketing’s value to owners and shareholders is demonstrated by its contribution to overall commercial return. “While brand positioning will always be a vital foundation to drive positive consumer sentiment, a large percentage of our marketing effort is invested in the stadium’s commercial programs,” she said. “We have more than 17,000 highly engaged members and thousands of official hospitality corporate clients who enjoy a range of premium sporting and entertainment experiences – customer insights, lead generation, awareness and retention campaigns, event-day experience modelling, and developing and nurturing quality partnerships that add value to our overall marketing strategy are keys to success. A stronger focus on customer insights, data, predictive analysis, and measuring return on marketing investment (ROMI) have all increased broad board-level confidence in the value of the marketing function, Madigan continued. “Interestingly, however, studies still show only a small percentage of board members have marketing experience,” she said. “I have no doubt if this was to increase, we might see a different level of interaction. Melissa Wong, senior vice-president of strategy and marketing for Asia-Pacific for virtual meetings vendor, PGi, saw more boards taking a more proactive interest in securing the right marketing competencies such as digital, social and mobile to integrate with overall corporate strategy. “In the wake of several high-profile corporate scandals a decade ago, boards historically focused more on governance and compliance,” she said. Wong referred to the 2003 book, Boards that Work, by Geoffrey Kiel and Gavin Nicholson, which stated that directors’ duties under the Corporations Act included ‘discharging their duties in good faith’, ‘not improperly using their positions’ and ‘exercising care and diligence’. “Now, with the complexity of customer decision-making processes, convergence and evolution of technology and the meteoric rise of consistent customer experience across channels, marketing is taking a position at the table,” Wong said. Key metrics and data points Madigan finds are resonating the best with other executives and the board include campaign lead generation, conversions and sources. She also shares database growth and key customer behavioural data such as attendance, spend, satisfaction levels and survey findings, along with online visitation, focusing on commercial pages. Madigan said executives are even keen to hear about social followers and engagement on event day and non-event day, along with Wi-Fi and app downloads. In the amaysim business, acquisition numbers and costs per new customer are vital metrics shared with the board. But just as critical are retention KPIs, Magel said. “From a qualitative point of view, the Net Promotor Score gives us a real-time big picture number, which shows the satisfaction of our customer base in a measurable way,” he said. Where Magel still sees an issue for CMOs is around marketing agility. Wong believed the ongoing challenge for marketing at a board level is clearly articulating how to be a strategic enabler for growth. Key insights boards should be asking marketing for include a perspective of the company’s current position in the market, market growth potential, key customer segments and their channel preferences, Wong said. “It’s also about which critical investments in digital, social, mobile and innovations will accelerate customer experience, as well as analysing how the role of brand will play and be aligned to achieve the goal of delivering greater customer advocacy as the organisations make it easier for customers to do business with them,” she said. Madigan agreed CMOs wanting board respect must continue to seeking effective ROI and ROMI analysis and reporting positioned against business delivery. “It’s about ensuring that marketing is connected to the business strategy and the rest of the organisation,” she added. The impact of digital disruption Alongside the analytical rigour influencing marketing today is the need for wider digital delivery. According to Madigan, digital transformation is an organisation-wide transformation at ANZ Stadium. “In our business, this is revolving around technical innovation, data management, business systems and customer interaction strategies to ensure we become Australia’s most technically advanced stadium,” she explained.